Banquet Tables Pro® 12 x 12 x 72" Tall light up LED columns are constructed from an internal aluminum frame & polycarbonate panels. They are super lightweight considering their size, only 35 lbs. This feature provides you the benefit of it being portable. The colors can change to red,green,blue, teal, tiffany blue, violet, orange & more. 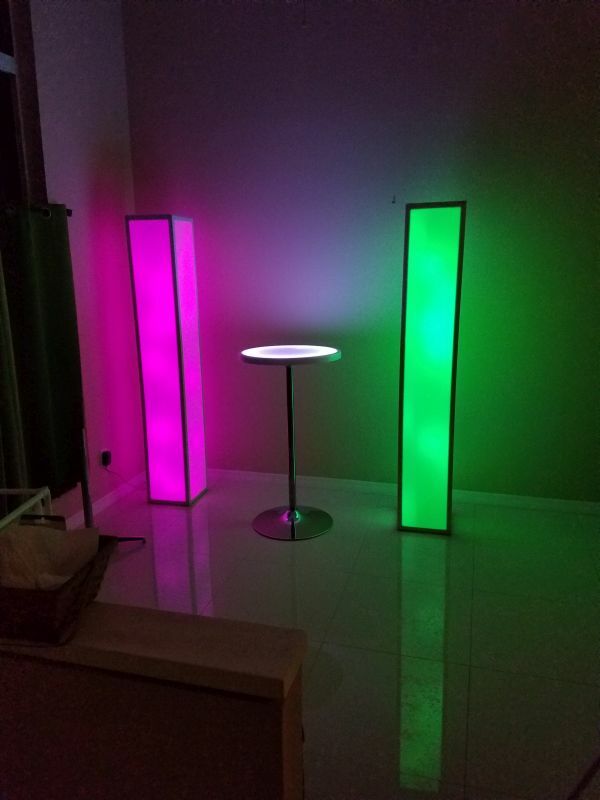 This light up column is is super durable, because it's constructed from aluminum & polycarbonate. Polycarbonate has more than 10 times the impact resistance than acrylic! This provides for a much longer product life in the event, wedding, and nightclub market. This product can operate via battery, or wall plug.